Sometime toward the beginning of the year, I got to talking with my local group of writers (we meet monthly) and we kicked around the idea of doing a Christmas box. It was an interesting idea. I haven’t ever been part of a mixed-genre box and, while I had a few reservations about that aspect of it, it seemed like a good way to help some of the unpublished writers in our group dip their toe into indie publishing and try it on. With this and that and the other thing, the box ended up falling apart, but my novella, Pathway to Peace, still got written. And, since I have a cover etc, I figured I might as well go ahead and release it. When I was trying to figure out what this novella should be about, I started thinking about an old character who, in the first book where she appeared (Courage to Change), was too young for her happy ending. But now, with the years that have passed since the book was written, she was exactly the right age. And so, I got to thinking, and while I did that, as I often do, I threw on some of my favorite romantic movies to try and jiggle the romance out of my brain. One of my favorite romcoms is You’ve Got Mail. Even though it’s full of the 1990s, it has everything: witty repartee, Tom Hanks, Meg Ryan, New York City, and bookstores. Really, it’s hard to beat. And I love the setup. The idea that you could fall in love with someone over email all the while not realizing that the friendship you’re developing (with an old enemy) is turning into something more and, oh yeah, that it’s the same guy. It got me thinking: how could you have that same general storyline today? Well, it probably wouldn’t be email. But a wrong text? That could happen. Regardless, I’m very pleased with how the book turned out and, if you’re a fan of You’ve Got Mail, there are probably some little chuckles in there for you as the characters nod at the movie. The story is set at Christmas-time, but I’m on the fence about calling it a Christmas novella. I suspect it could’ve been set at any other time of year and, minus a few scenes that would need a tweak, it would still work. So if you’re in the mood for a little Christmas cheer, but not anything over the top, this might be for you. 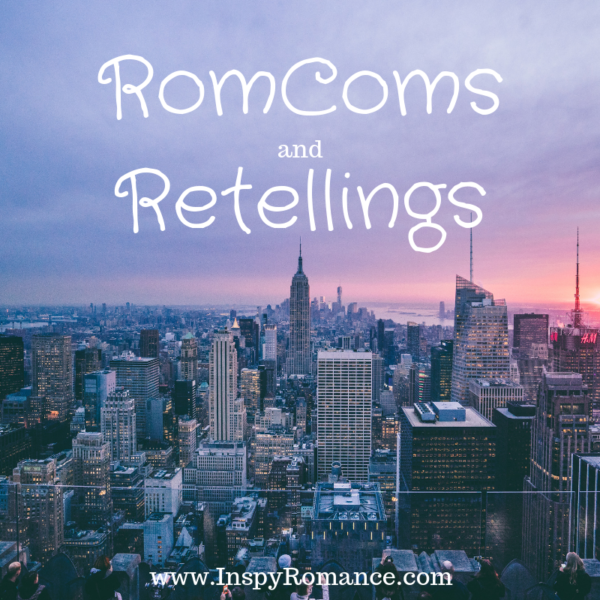 Do you enjoy retellings? (Or books with a big nod to a movie or other story?) What’s your favorite? Or do you have a romcom you’d like to see redone in book form? P.S. A Dash of Daring is on sale for 99 cents for a couple of days right now if that’s one you haven’t read yet! Good morning, Elizabeth! That is actually one if my favorite movies….so I am even more excited to read your story! Of course I have read all of this series, so naturally I must see the conclusion!! Hi Elizabeth! Just ordered a Dash of Daring and looking forward to an inspiring read. As a retiree, who has watched the evolution of communication over the last sixty years, You’ve Got Mail is a delightful movie that makes me chuckle. So many great elements, just like your inspiring story Pathway to Peace, which will not disappoint the reader. I always enjoy reading a story that incorporates a slice of history by mentioning a book or movie or a bit of culture or a tasty dish. Guess I am just nostalgic. Best wishes and enjoy your weekend. It has been fun for me to see a lot of that same evolution in communication over the years. Technology is fascinating and I can’t wait to see what develops in the future. Hi, Elizabeth! I’m not sure if I enjoy retellings or not! I guess when I read a novel or novella, I’m not always aware that it’s a re-telling. But I love romantic comedies. Two of my favorites are My Best Friend’s Wedding and Runaway Bride! Your book sounds wonderful! That’s fair! A lot of what I see retold are fairytales and I think you have to be in the right mood for that (or I do.) I love Runaway Bride! And as much as I enjoy Julia Roberts, I’m not sure I’ve seen My Best Friends Wedding. I might need to fix that. Yes, you must see it! My Best Friend’s Wedding is not a romance, per se. It has romantic elements, though. It’s funny and it has a bittersweet ending. I enjoy the idea of retellings, but I’m not always happy with them. I usually have expectations that are too high. I can’t think of any books I’ve read “with a big nod to a movie” but I love books with mentions of Jane Austen, because I’m a big JA fan. Also, any fairytale retellings interest me, too. As to a romcom I’d like to see redone in book form, I’m not sure. Maybe “How to Lose a Guy in 10 Days” or “27 Dresses”? How cute. I really like You’ve got a mail too. This is definitely in my TBR list. 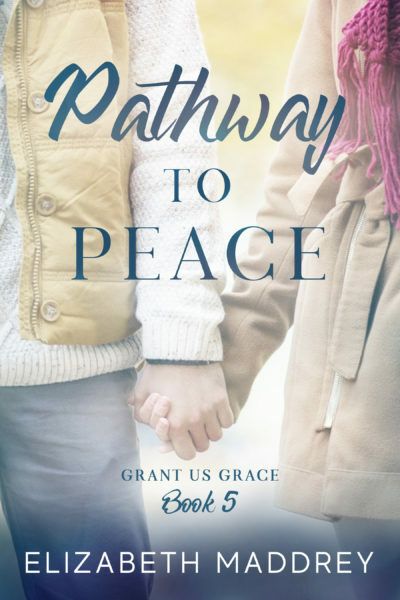 I’m surprised though that you’re calling it a romcom retelling because most of the Grant us Grace books I’ve read have been deeply emotional to me and dealing with difficult issues (abortion, divorce, ..). Maybe the “secrets” actually go there, but the tone of your post makes it sound more of a lighter reading (romcom ?) than previous books. Pathway is definitely lighter, but probably not a romcom. There are still a few issues in the book as well, but maybe not *as* heavy as the others. Picked up Dash of Daring, thank you. :) I enjoyed the nod to You’ve Got Mail in Pathway to Peace and getting to know Lindsey more. Very good read and still gives you something to chew on. I’m not really a movie watcher (when would I read?) and I don’t recall seeing You’ve Got Mail, but you give enough description that people like me can understand. Hm…retellings…not sure. I think it depends on the book :) but I love You’ve Got Mail! Some of my favorites are Sleepless in Seattle and While You Were Sleeping! It totally can depend on the book. And my mood :) I love Sleepless and While you were sleeping too! I seldom watch movies! I know…unbelievable to today’s world! Not really :) I have several friends who just aren’t into movies for a variety of reasons. There’s something for everyone. I love You’ve Got Mail. And I loved the 90’s. In Sleepless in Seattle, all the women were mooning over that old movie, so you’ve got me thinking about your characters doing that. Sounds like a great setup. Some Retellings I enjoy and others I don’t. I love retellings and Katherine Reay as some excellent Austen retellings that I’ve really enjoyed. Thanks for telling me about this book. Persuasion is one of my most fav movies! Ooh, that’s not one I’ve heard of. I’ll have to see if it’s available to watch in the US. Thanks for preordering! Not a fan of retellings, but spin-offs are fun! I love books that have nods to popular movies or even other books. It’s fun! Kara Isaac comes to mind. I like the idea of spin-offs, or a retelling with your own spin, like you’ve done, using the movie as a base, but making the story your own. It’s important to create something unique. It really is always good to do something unique and fresh!